There are times when you can’t be bothered travelling across town to dine at the hottest new opening and just desire a reliable restaurant that’s nearby. A place that’s relaxed & ideally reasonably priced. If they permit you to rock up with a bottle of your own plonk under your arm, that’s clearly an added bonus. 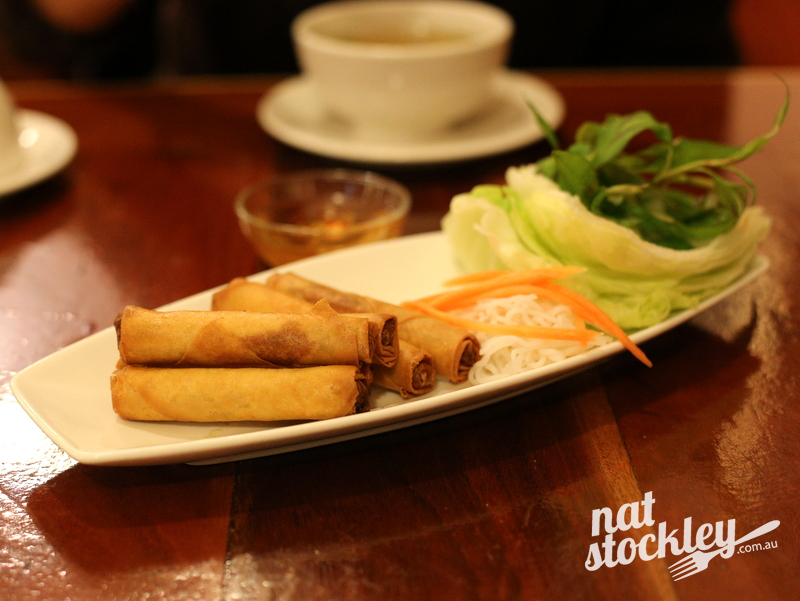 Saigon Hut is a local Vietnamese restaurant that seems to satisfy all those criteria. 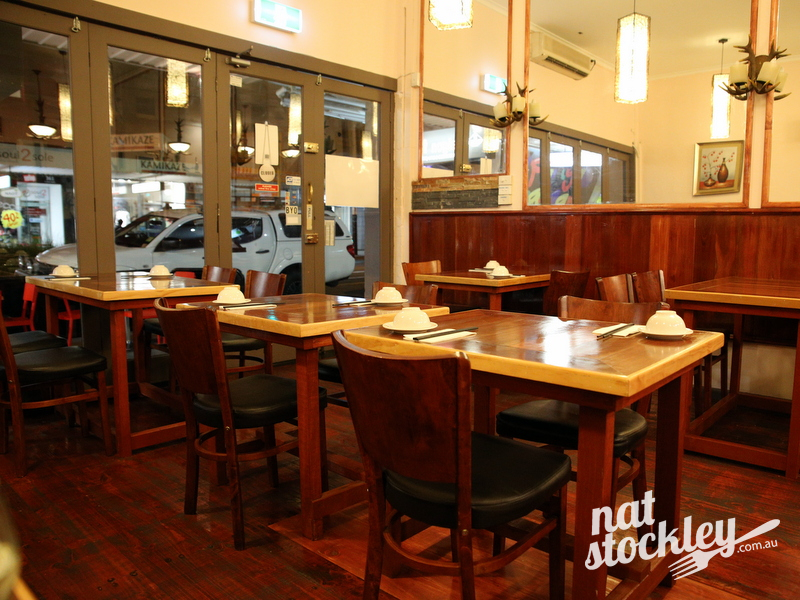 It’s a short stroll from Elsternwick train station, permits B.Y.O wine & the prices are realistic. 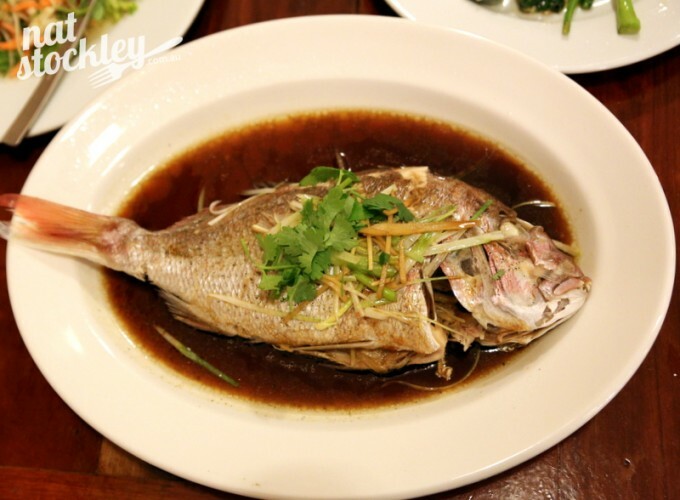 Like some other Vietnamese eateries across Melbourne, the menu extends into Chinese territory with the occasional nod to Malaysia and Thailand thrown in for good measure. It’s worth noting that Saigon Hut has replaced My Saigon, which just like some of the previous tenants at the location, struggled to flourish. 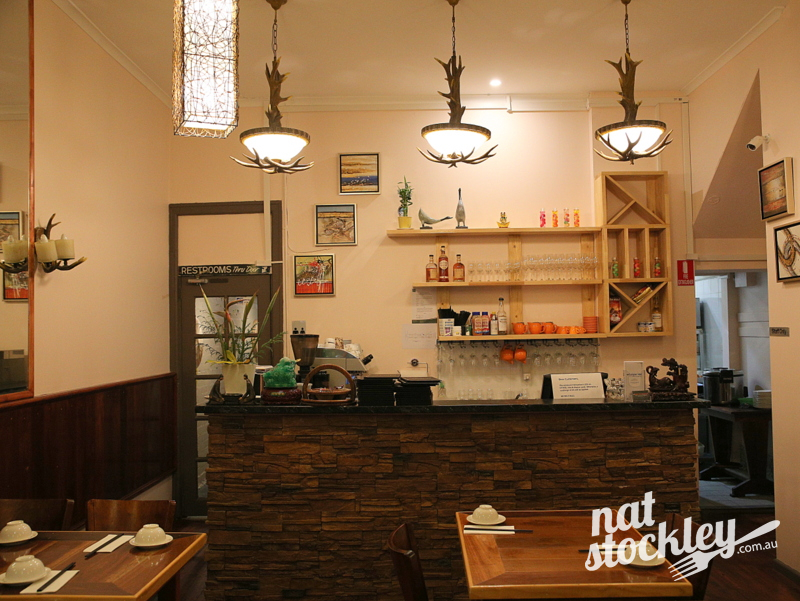 On the upside, Saigon Hut is now under the same management as the thriving Sapa Rivers located further up Glenhuntly Rd (in Caulfield), near the Hawthorn Rd intersection. 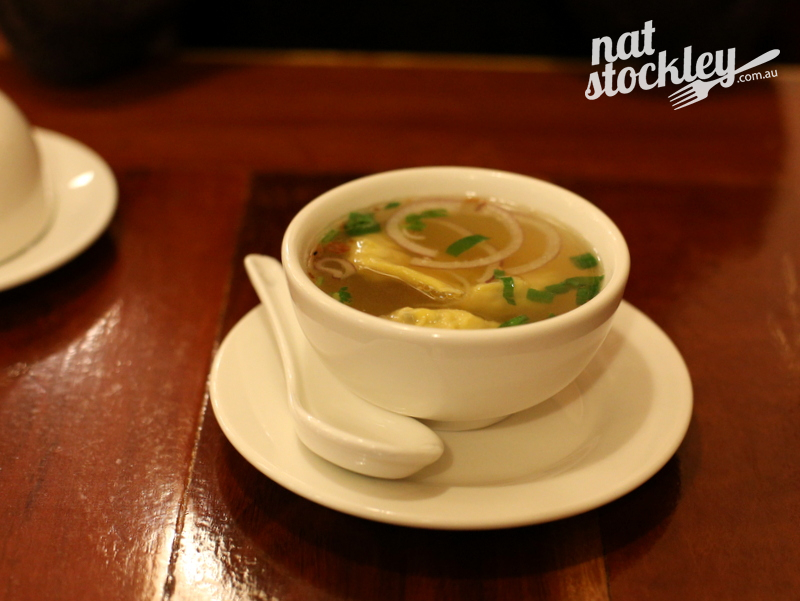 In terms of the more traditional Vietnamese dishes, you’ll find pho (pronounced fur) with beef or chicken, vermicelli noodle salads or bun (pronounced boon) and Hue-style spicy beef rice noodle soup, known as bun bo Hue. 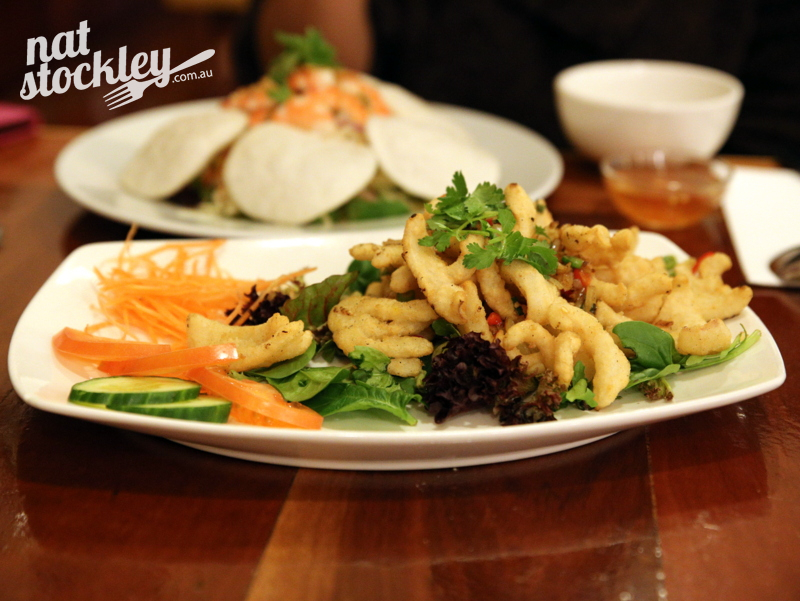 There’s also a wide-ranging assortment of stir fry dishes, curries and various rice & noodle options. 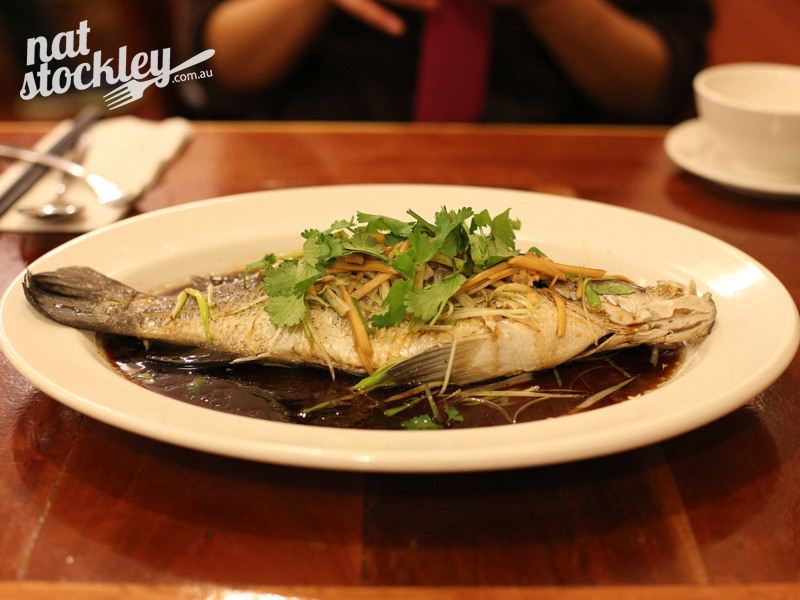 It’s the sort of broad menu that’s bound to offer something for everyone. I’ve taken a liking to their fish, particularly the whole steamed barramundi served with shredded ginger, shallots & soy sauce. 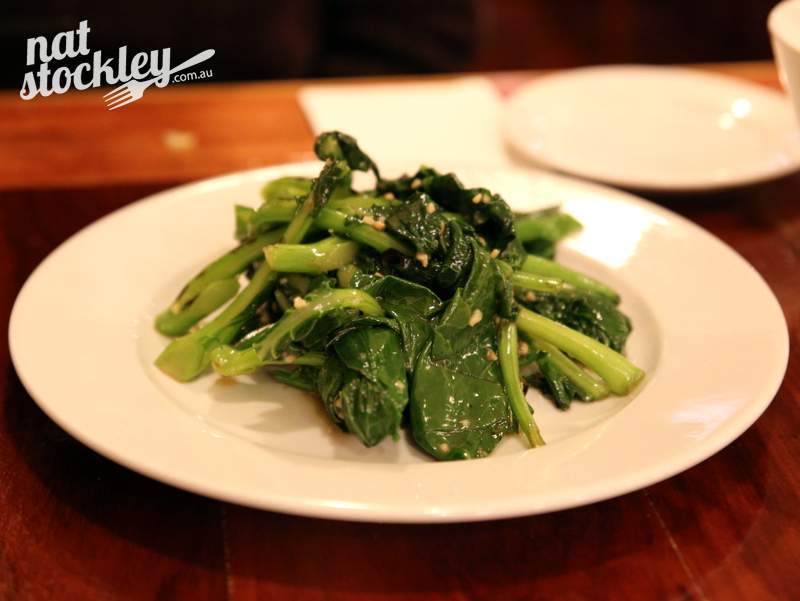 Add a serve of Chinese broccoli stir fried with garlic & oyster sauce and I’m one very satisfied diner. 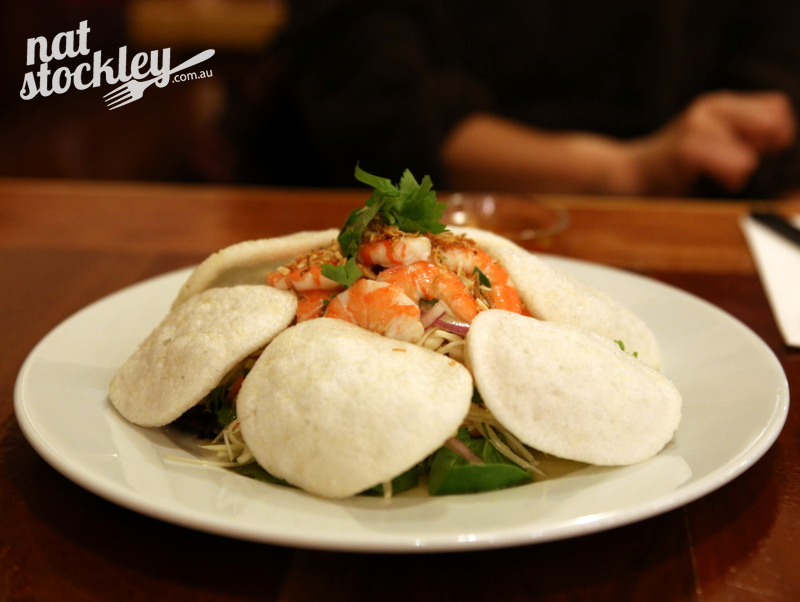 Saigon Hut may never threaten Saigon Sally or Hanoi Hannah in the hipster stakes, but for a satisfying casual bite in Elsternwick, its a reliable option.